Saturday, March 23rd promises to be a busy day for environmental causes in Ewing. The day starts out early with the Ewing Community Gardens Cleanup at Whitehead Road Extension. At midday, the Ewing Green Team will co-host the Living Local Expo with Sustainable Lawrence, the Hopewell Valley Green Team and the Mercer County Office of Economic Development and Sustainability, a green fair at Lawrence High School Commons. We will top it off in the evening with participation in Earth Hour where individuals and communities around the globe turn off their lights from 8:30 – 9:30 p.m. as a symbolic gesture of support for planet. 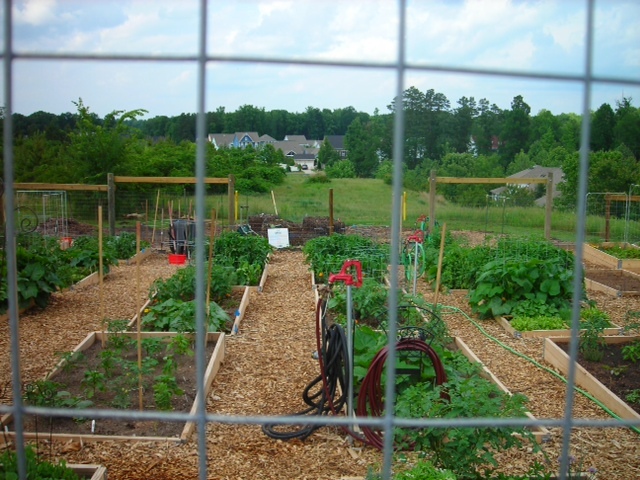 Township staff has been hard at work this week preparing the community gardens for the spring gardening season. The expansion of the gardens has begun and the amount of land available for gardeners will be almost doubled. [Don’t forget to sign up for a plot ASAP to ensure that you get one.] Truckloads of wood chips have been delivered to the site for use on the site paths, courtesy of Mercer County and Britton Industries. Township staff is also busy preparing to install the new water line and outlining the site fencing. The 6th Annual Living Local Expo, organized by Sustainable Lawrence in partnership with the green teams from Lawrence, Ewing, Hopewell, and the Mercer County Office of Economic Development and Sustainability, will run from noon until 4 p.m. at the Commons at Lawrence High School. It will feature hands-on workshops, displays from 40-plus local businesses and non-profits, and the “Ask your Neighbor” table where visitors can hear how homeowners and businesses completed successful energy-efficient projects. Speakers will discuss a variety of sustainability issues ranging from local farms, school gardening & projects, to the future of transportation and recycling in Mercer County, and more. It promises to be an exceptional event. Time: 8:30 – 9:3o p.m.
March 23rd is also the date that the world unites to take a stand against climate change. Earth Hour is a global movement that endeavors to unite people around the world in making a commitment to save the planet. It has been held annually at the end of March since 2007. Its goal is to unite communities from across the world celebrating a commitment to the planet by switching off lights for one designated hour wherever you are in the world. Turning of the lights is the symbolic gesture. Organizers ask individuals, communities, schools, businesses and governments to couple that with pledges of positive actions toward a sustainable future. What green initiatives can you undertake as part of your stand against climate change? Next Next post: Environmental Film at TCNJ Tonight!